Geekatoo is a nationwide in-person tech support platform with 5,000 geeks attacking a $20B market. We find the geeks in your neighborhood, make sure they're knowledgeable and trustworthy, and send them directly to you for 30% off Best Buy's horribly inefficient Geek Squad, which made $3.5B alone last year. We are the Netflix to Geek Squad's Blockbuster. Founding Partner @500 Startups. previous: @PayPal, Facebook fbFund, Founders Fund, @Mint.com. Geek, entrepreneur, marketer, investor, Sith Lord. We invest in 25 startups per year with an average investment of $350,000. CEO of MicroVentures; Seed stage investing in tech companies with strong teams, investors, and traction. Author of The Lean Startup. I am an entrepreneur in the cutting edge health and fitness space, and happy to help with analysis in this area. Self employed, Hotel developer/owner, travel industry entrepreneur. Despite the fact that I make a living writing about technology, I have absolutely no idea what to do when my computer has a problem. I racked up countless hours with Best Buy’s Geek Squad over the years, including one tearful night at 9 pm right before a college exam. Geekatoo brings the Geeksquad to you. The company cuts out the middlemen and can offer cheaper service, since there is no storefront or inventory to maintain. Geekatoo – We offer local and onsite tech support at a great value. Customers receive competing bids on tech support needs from verified providers. Enter Geekatoo, a company that’s similar to RedBeacon, Zaarly, TaskRabbit, but that has a much narrower focus: helping people get their computers fixed. 9 years ago, Geek Squad lost my laptop for a month and a half. I thought their service and turnaround time was absolutely ridiculous when there were so many smart geeks in our neighborhood. When I was younger, I used to fix computers for my family and friends and knew there was a better solution. Thus the idea for Geekatoo was born.We eliminate middlemen and offer cheaper service, since there is no storefront or inventory to maintain. The customer places an order online or through our app, and a verified, skill-tested technician arrives at their door. Gone are the days of leaving your computer for weeks at a repair shop, or waiting for hours at home for the TV repariman. Our “Uber of tech support” approach also benefits computer specialists who can make extra money or a living on Geekatoo. If you want some more details, check out the podcast I did for 500 Startups here. You can also see our detailed metrics report here. 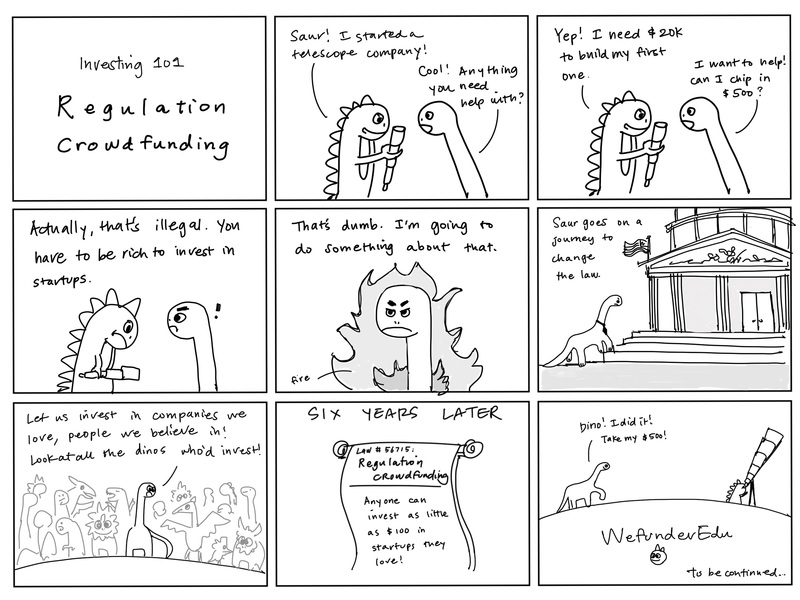 Geekatoo is conducting a Regulation D offering via Wefunder Advisors LLC. CRD Number: #167803. Thanks for vouching for Kevin! If you'd like to invest in Kevin, please open an account. We'll waive your fees if you do it now. We asked Kevin for 10 personal references. Can you vouch for Kevin?